The gwabbit suite of solutions transforms enterprise contact and relationship management to propel the firm forward in revenue and market share. gwabbit ERM answers the question: "Who do we know at _______?" gwabbit ERM automatically identifies and scores contacts and relationships and offers a variety of options to organize and present data. 40% of CRM contacts are out-of-date. 50% of high-value contacts are missing altogether. 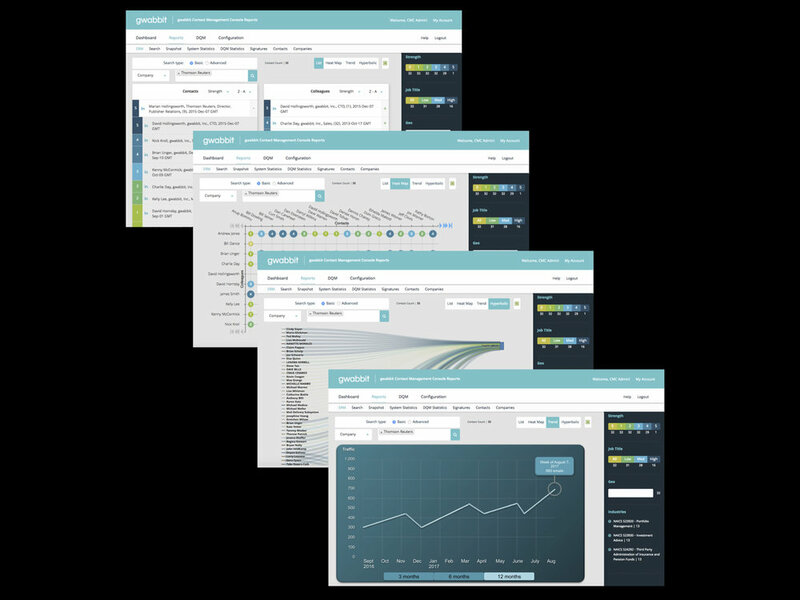 DQM = more and better CRM data to put to work growing revenue and market share. gwabbit DQM sources new and updated CRM contacts at up to 35x the rate of the nearest competitor. gwabbit Alerts notifies attorneys and assistants of new and updated contacts it has found, enabling vCard address book updates with one click! 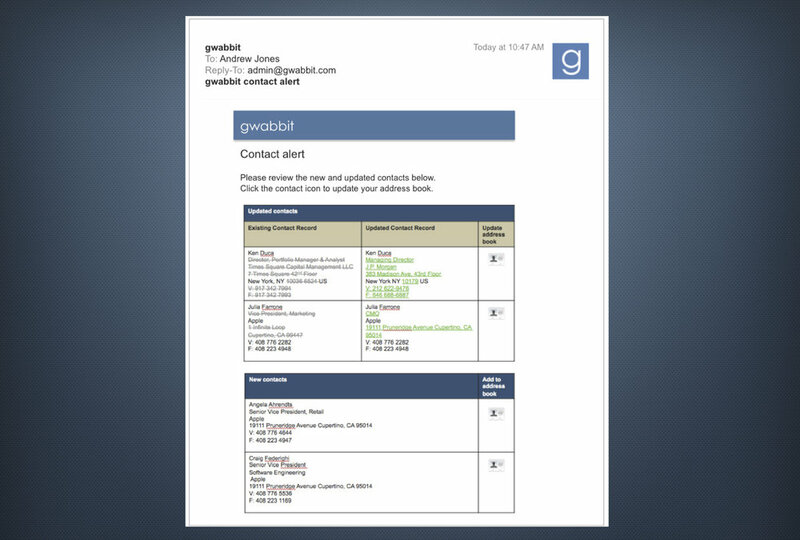 gwabbit Outlook alerts when it finds email signature contacts that are new or updates to the user's address book, simultaneously updating address books, CRM, and ERM reports with one click. Inspired by an actual law firm event management best practice, gwabbit List Manager lets you quickly create and optimize lists, using gwabbit ERM filters to streamline your lists to the most relevant and actionable contacts. You can then broadcast your lists to attorneys or assistants for vetting, then sync with your CRM.